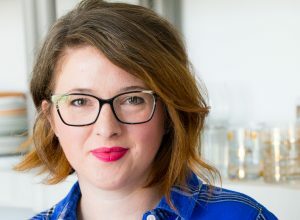 I’ve partnered with Huhtamaki Inc. for the Chinet® brand to create this post! Enjoy! September might be my favorite month of the year. Well, September and October. Ok, November and December are amazing, too. Let’s just say we are getting into my favorite season and my heart couldn’t be happier. After a fun and relaxing summer, there is something very satisfying about getting back in the swing of things. The kiddos have been back to school for a couple of weeks and I am finding my groove again with my daily work routine. My daily routine is ever-evolving, but the way I start my weekdays has been honed after many months of practice. I joke that I should have my van painted school-bus-yellow because of all the running back and forth to school that I do, but in reality, I love it. I love taking A and C to school everyday and giving them a hug and kiss before they head off to class. It’s like we are all sending each other off to start our days on the very best note. Confession time: I am not a natural morning person. It’s not that I’m super grumpy (at least not anymore), it’s just that if I do not have a concrete reason to get up and dressed at an early hour, I simply won’t. Summer was full of late mornings and slow starts, but now that the school year is here, I am up by 6:00 with some yoga, making breakfasts and packing school lunches by 6:40, and out the door with the kids and some hot coffee in a Comfort Cup® by Chinet® insulated hot cup by 7:20. As someone who works from home and runs a food blog, I try my best to take advantage of every minute the kids are out of the house. The school day whooshes by in a hurry and my goal is to not have an excessive amount of work to do while they are home, including the weekends. After school drop off, I typically run to the grocery store to pick up any ingredients I need for the day before heading home to get cooking. This means that I’m usually gone for at least an hour (and often more) from the time I leave the house to the time I get home. If there is one thing I can’t start my day without, it’s coffee. This is no secret – I’m coffee obsessed. It’s not the caffeine as much as the comfort of having that hot cup of coffee to take along with me on my morning drive. I have gotten in the habit of brewing my coffee while packing the kids’ lunches. 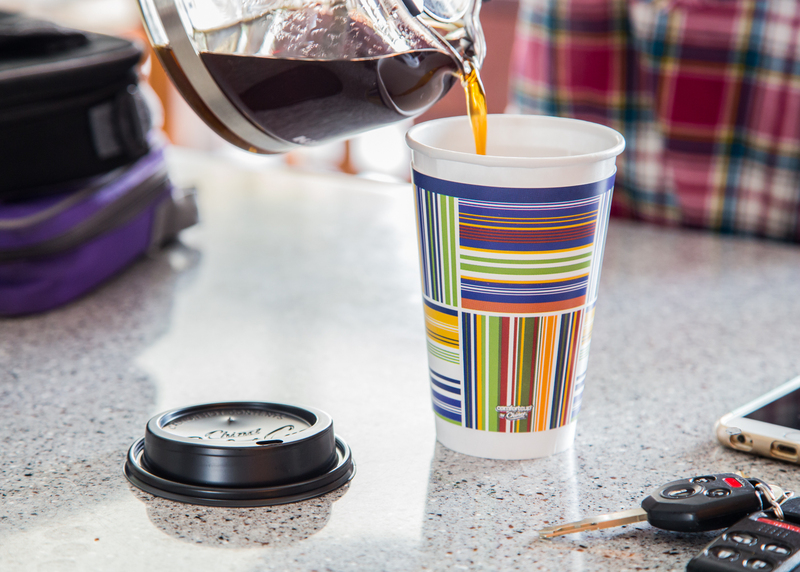 Then it’s just pouring it into my Comfort Cup® by Chinet® insulated hot cup and we’re out the door. I love these cups so much! 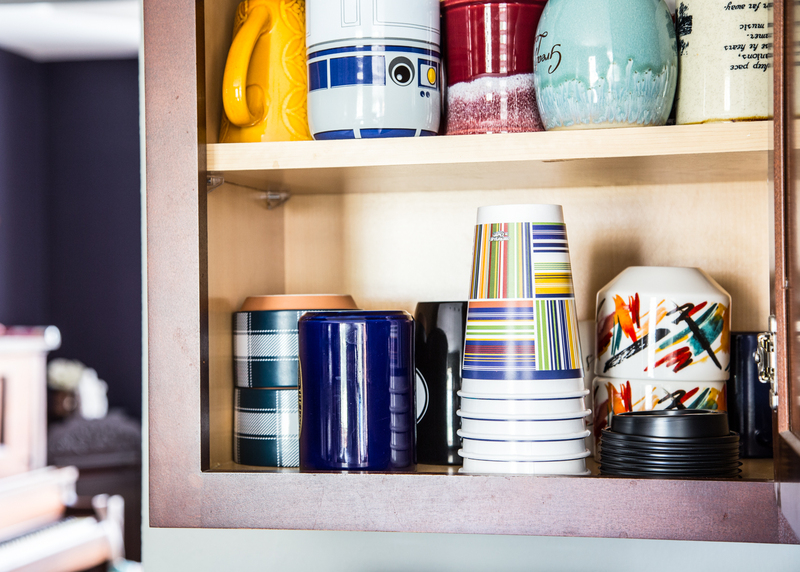 I keep a stack in my regular coffee mug cabinet, which is right over my coffee station (yes, I have a bonafide coffee station, friends), so that they are easy to grab and go. 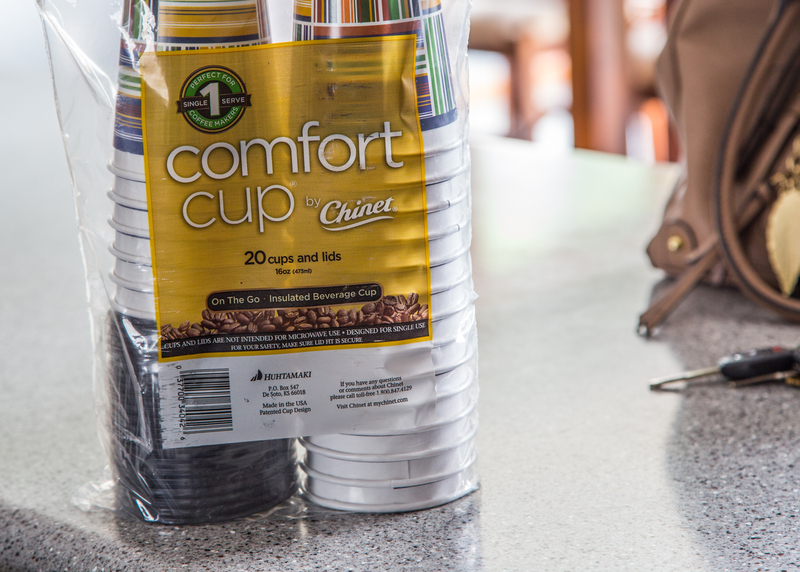 My mother-in-law introduced me to these Comfort Cup® by Chinet® insulated cups last time we were visiting. 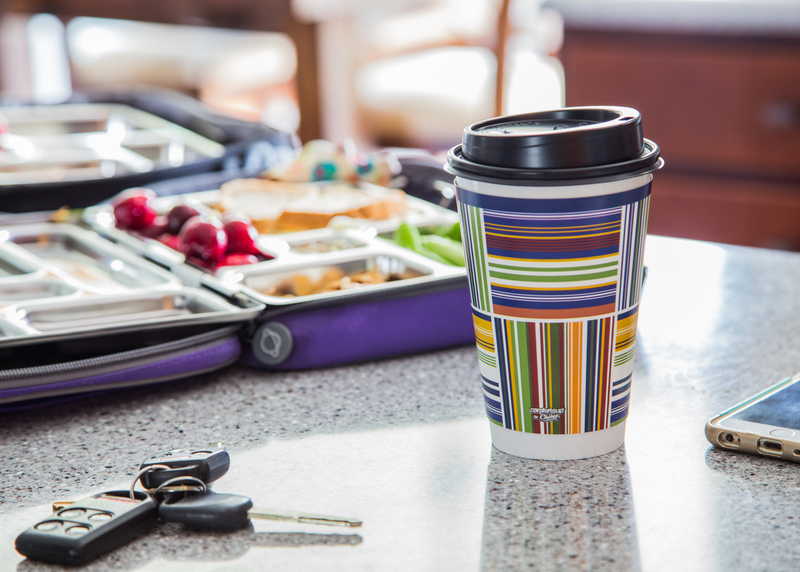 She sent us on our road trip with two hot cups of coffee in these cups and I thought they were such a great idea! 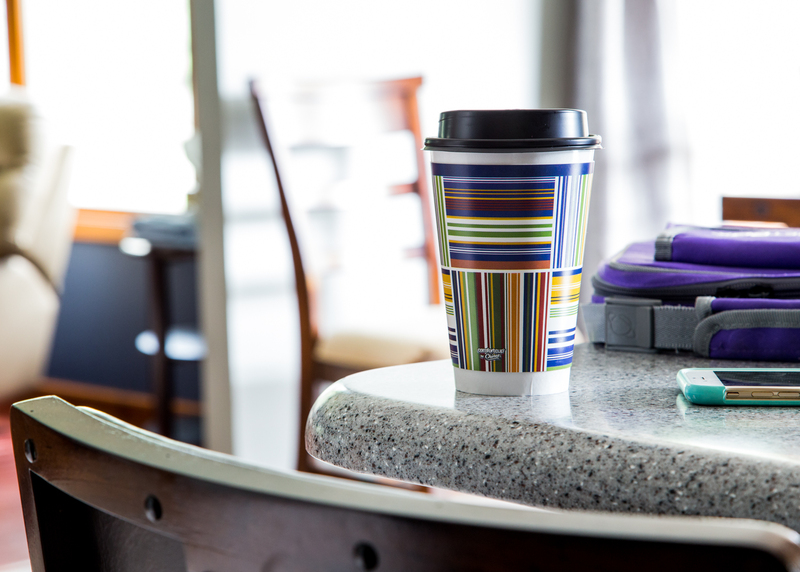 These Comfort Cup® by Chinet® insulated cups are disposable, which is perfect because returning a re-usable coffee cup when we were finished would have been difficult with the 10 hour distance between our homes. 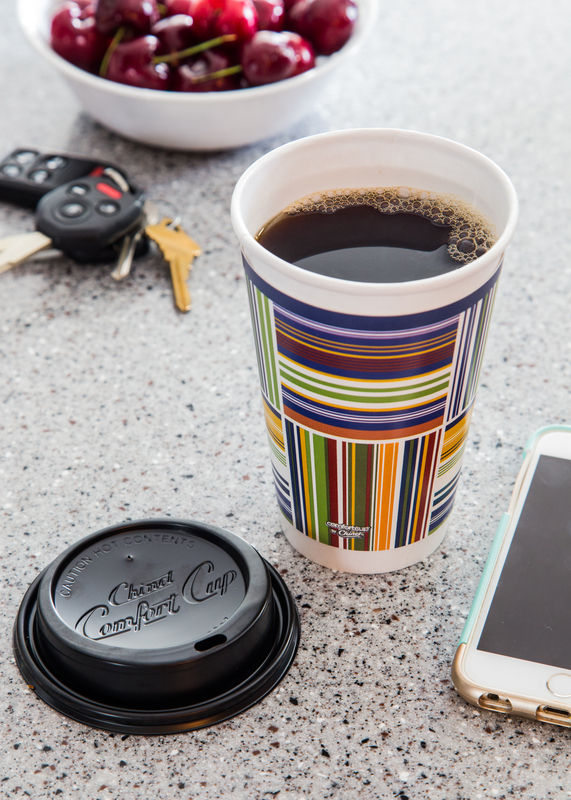 Ever since, I have kept a package of these Comfort Cup® by Chinet® insulated cups around for school mornings when I always take some coffee along for the ride. School mornings are SO busy and hectic! I love that you have a coffee station – I am a tea drinker and a tea station is an amazing idea! 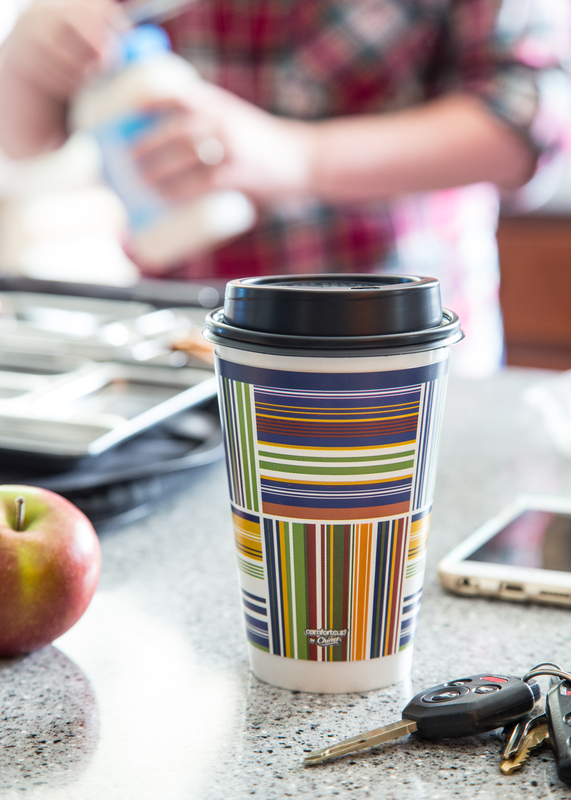 I do a ton of running around and love that these cute cups are so great for on the go. I need some!